Slim chassis design makes for a trim riding position, opening up the cockpit to allow the rider to actively take control of the machine. Renthal Aluminum Fatbar is standard equipment. It has more strength and reduces vibration more than conventional aluminum straight handlebars. Excel aluminum rims with stainless steel spokes are standard equipment and are built for durability and strength. Gripper seat, with projected cross-shaped patterns on the black-colored top surface, aids rider control. The compact aluminum cylinder is finished with Suzuki Composite Electrochemical Material (SCEM) coating, built for durability, light weight and efficient heat transfer. 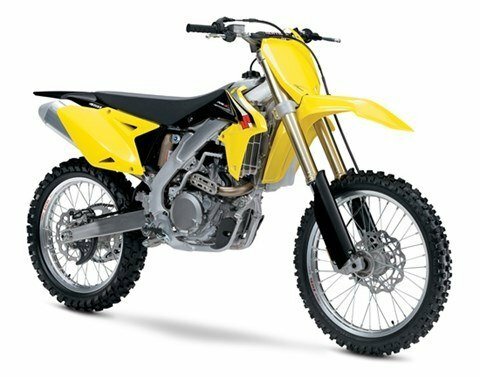 Designed especially for motocross-use, the lightweight, battery-less, electronic fuel injection system with progressive throttle linkage makes for efficient power delivery. A 12-hole fuel injector delivers a fine fuel/air mist for efficient operation. For quick fuel adjustment setting to suit riding condition, two couplers are enclosed. One is for rich and another for lean fuel setting compared to stock setting. Riders can change fuel setting to best suit the riding conditions by simply connecting either coupler to easy-access connector on the wire harness. A Mode: For hard surfaces or less than ideal conditions at the starting gate, hold down the S-HAC switch for more than 0.7 seconds. B Mode: When there is better traction and a more aggressive launch is needed, hold down the S-HAC switch for more than 1.8 seconds. Base Mode: Standard power launch, no action required on the S-HAC switch. The SFF-Air suspension is an evolution of the SFF system without a conventional coil spring resulting in reduced weight, increased inner tube diameter, and increased damper rod/piston size. The SFF-Air is made of 3 chambers and riders easily change the spring rate with an air pump instead of changing out the coil springs. Engine start has been improved with a longer kick starter lever for easier operation, a redesigned kick drive gear, a relocated kick idle gear, a newly added breather gear, and a redesigned decompression system that works more precisely and efficiently. In fact, it works so well that the prior model’s hot-start system has been eliminated. 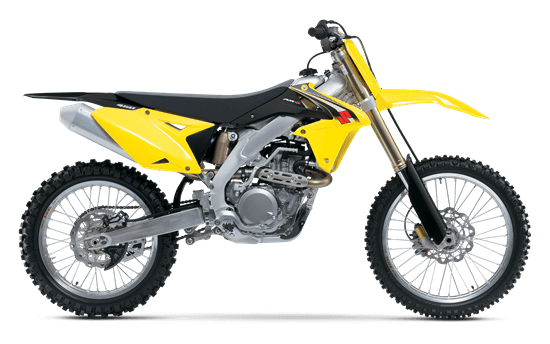 Cooling performance has been enhanced with the radiator hose connection being changed from a T-shaped to a Y-shaped design to equalize water flow between the left and right radiators. Water flow is also increased by 16% with a redesigned water pump cover and the water hose is now connected directly to the coolant pump. The gear shift feel has been improved with a revised gear shift cam for a more precise transmission operation. The machining process of each gear was also revised to increase precision of matching gears.